Icynene is a water blown open cell low-density (.5 lb./Ft3) flexible, soft foam insulation, which is sprayed into/onto walls, crawl spaces, and the underside of roof, attics, and ceilings by only licensed dealers. Sprayed as a thick liquid, in seconds it expands to 100 times its volume to create a superior insulation and air barrier. Every crack, crevice, electrical box, duct, and exterior penetration is effortlessly sealed to reduce energy-robbing, random air leakage. The building envelope seal remains intact over time and is ideal for residential, commercial, industrial and institutional indoor applications. What will open cell offer me that closed cell won't? Does it produce any harmful fumes? NO, Icynene is water blown; there are no chlorofluorocarbons, formaldehyde, or volatile organic compounds. It seals out dust, pollen, and other allergens from entering the structure. Air sealing minimises the potential for mould and mildew. What is its R value? 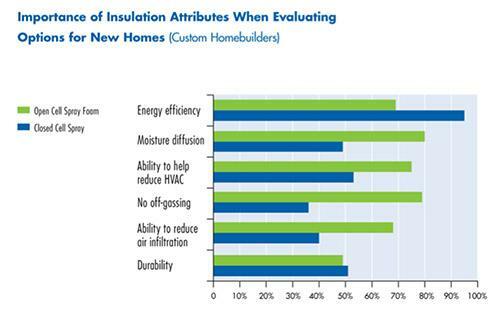 We must be careful in using R value as the only acceptance criteria when selecting insulation for your new home. The ASTM C518 test method C1058 is an old standard biased towards fibreglass that does not give a true fit for service rating of insulation’s effectiveness in your home. Foam insulation will outperform fibreglass 2 to 1 in terms of real world energy savings performance in your house. Studies have shown that stuffing higher R values in walls and ceilings with fibreglass still results in double the utility bills compared to Icynene at half the R’s. Air tightness along with R’s = double the energy saving performance of insulation. Three inches (3”) of Icynene has an energy savings performance value equal to or exceeding R-19 and R-30 for five inches (5”). Can I use it for soundproofing interior walls? YES, sound attenuation is one additional benefit you get with Icynene spray foam and air barrier material. Icynene has a Noise Reduction Coefficient of .70 (an NRC of 0 indicates perfect reflection; an NRC of 1 indicates perfect absorption). We use it in theatre rooms or for privacy in other areas. What is a conditioned attic? The conditioned attic was the result of research by the US Department of Energy using Oak Ridge National Laboratories to make an energy efficient building envelope. It simply moves the insulation barrier from the floor of the attic to the underside of the roof deck, joins the vertical walls making the building near airtight and it has no ridge vents or soffit vents. The temperature in the attic will be within 3 – 10 degrees of the living area, resulting in up to 50% in energy savings. The conditioned attic is part of the 2006 building code. Does my house need fresh air? Being airtight does not mean “no ventilation”. 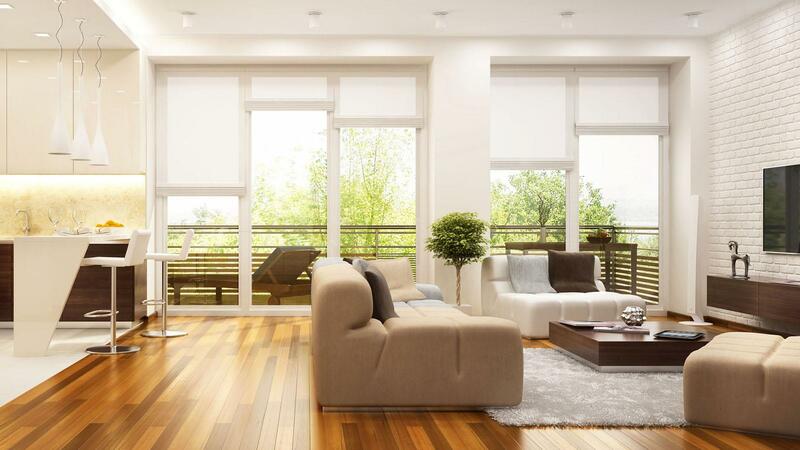 A requirement of an airtight building is to draw in fresh air into the HVAC system from outside the home; this intake must be done on a controlled basis, whereby you now can control when the air is brought into the building, filtering, and scrubbing it with a germicidal air cleaner, and eliminating dust, pollen, and other allergens - making for a healthier building. Can you retrofit my existing attic and crawl space? YES, the Department of Energy has shown that 40% of energy loss comes through ventilated attic assemblies. What you need is an evaluation of your home by one of our airtight experts to determine just what the best approach will be for your home. We take a holistic approach and consider the existing HVAC, the attic configuration and your personal expectations in making our recommendations. How much does it cost relative to fibreglass? There is not an apples to apples comparison. Fibreglass uses old fashioned 1940’s technology. We are providing an airtight building envelope assembly that includes a conditioned attic assembly using 21st century building science. We actually air seal the building, eliminating many elements of cost required for an old fashioned hot box called the ventilated attic assembly. In many cases the HVAC system can be reduced by one whole unit, so, if the standard prescription calls for two units, you probably only need one. The superior thermal insulating properties that an airtight building assembly gives you, in many cases energy bills are up to 50% less than the pink stuff, giving you a significant savings each month that can result in a positive return on investment in 2-3 years. An Airtight Expert insulated building will reduce your greenhouse gas emissions by as much as 4,000 lb. annually with the additional benefit of making your living environment healthier, quieter, and more energy efficient. Think of it as maximising your new home investment for continued savings that begins on the day the meter is transferred to your name and continues each and every month thereafter. Each home is unique, so contact us for a consultation on your needs and free proposal. A foam that adheres to building materials, like Icynene insulation, must remain flexible in order to maintain its air seal. Buildings expand and contract with changes of season and temperature. If the foam is rigid, it will inevitably develop hairline cracks along the studs and ultimately the air seal will be destroyed. What is Icynene Insulation Made Of? Icynene insulation is a water-based formula that contains no formaldehyde, CFCs or HCFCs. The insulation has the texture and look of angel food cake and is made up of millions of tiny cells. These cells are filled with air and provide permanent control of air and airborne moisture movement. There are no VOCs detected in Icynene after 30 days. The foam is created in seconds after spraying. You can watch it expand within seconds to 100 times its original volume, literally before your eyes. It completely cures within a few minutes. No, it looks like a sponge but it is actually hydrophobic, i.e., it repels water. If placed in water it will float and on removal it will dry rapidly and lose none of its insulating properties. Icynene Insulation is a breathing foam, and any moisture in the building's concrete or lumber can escape through the insulation as the building dries out, thus eliminating any risk of rot or mildew. Does the Foam Change Physically Over Time? No, it is inert. Its physical and insulating properties are constant. Does Icynene Contain Potentially Toxic PBDE Flame Retardants? No. Flame retardants are used in many products from carpets to computer casings and recently certain flame retardants called PBDE's have become a growing concern. Icynene is a 1/2 pound, 100% water blown foam that does not contain PBDE or any other brominated compound. At What Stage is The Icynene Insulation System Installed? The Icynene Insulation System is installed after the windows, doors and roof are in, the electrical, framing and plumbing inspections are complete, and after any other electrical or mechanical system located behind the drywall is installed. It is the last installation to take place before drywall installation. Is the Insulation Corrosive to Metals? No, Icynene Insulation is non-corrosive. It is neutral, neither acidic nor alkaline. How do I Arrange for Installation of The Icynene Insulation System in My Home? Talk to your builder early and let him know that you would like to have The Icynene Insulation System® installed in your home. Icynene can provide a builder demonstration videotape and technical support so that The Icynene Insulation System® is an available option for your home. Does Icynene Break Down, Sag or Shrink? No, Icynene Insulation is stable. It does not shrink or sag. The reaction that creates Icynene® Insulation is irreversible and it cannot break down into its constituent parts. Can Icynene be used to insulate my dorm bungalow? Yes, Icynene is excellent for hard to treat homes! we can inject the icynene from the loft space down above your plasterboard. The Icynene will expand up to 100 times its original volume and fill the cavity. You will not have to worry about taking down plasterboards or redecorating so Icynene becomes a very cost effective method of Insulating hard to treat bungalows. Does the Insulation Support Bacteria or Fungal Growth? Icynene Insulation offers no food value; therefore it does not support bacteria or fungal growth. It also does not retain water, making it an unappealing environment for pests.